Hi Friends, Aaj Ham is Post me Jenenge Facebook Par Apna Page Kaise Banate Hai. Dosto Aapko toh Patahi Hoga Facebook Sabse Popular Site hai, Social Media Me. Toh Chale Sabse Pahle Hamlog Janlete hai Ke Fb Page Sab Kyu Banate Hai. #Facebook Page Kaise Banaye Mobile Se? 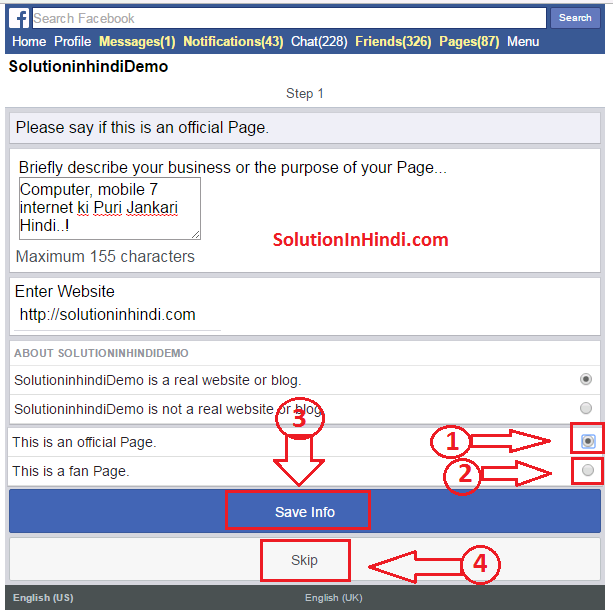 Note :- Aagar Aap Save Info Me Click Kiye hai toh Hi Step- 7 Aapke Ke Liye. Business, Brand, Masur Hastiya, Website, Singer, Ke kam Me Aate hai Jaise ki Aaj Kal Ke Celebrities Matlab Mashur Hastiya Facebook Page Banake Aapne Friends Ke sath Sampark Banate hai. Jaise Aap ke Personal Profile me Friends hote hai Same usi Tarah ki hai. 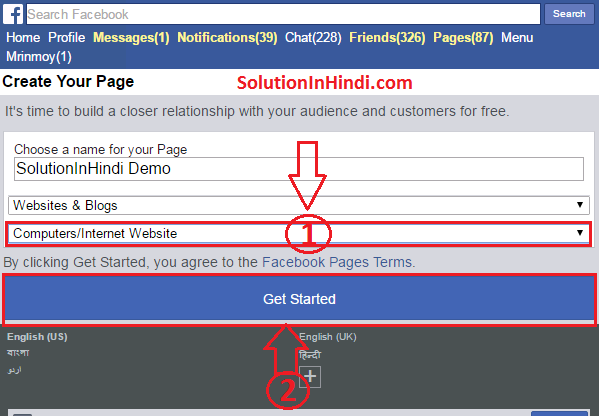 Or Aap toh jante hi Honge Fb ID me Sirf 5000 Friends hi Rakh sakte Hai Lekin Page Me Unlimited Fans Banake Online Business Ya Website Ko Free Me Promotion Kar Sakte hai. Me Toh Sirf Itna hi Kahunga Aapke Business Ya Website Ko Agar Free Me Koy Promotion Karke Dega Toh Oh Social Media Hai, Jaise Fb, Twitter, Google + WhatsAap, Wagaira Wagaira. Toh Me Aap Logo Ko Mobile Or Desktop (Pc) me Fb page Banana Dikhaunga . Sabse Pahle Aap Apna Facebook Accountwww.facebook.comMe JakeLogin Kare. 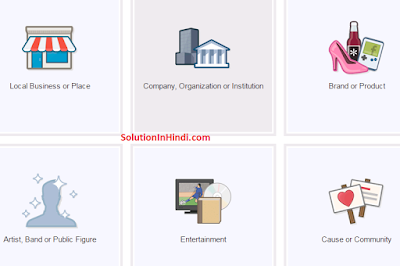 ID Login Hone Ke Bad Yahase Click Kare- https://mbasic.facebook.com/pages/?ref_type=bookmark Ya Bhir Copy Karke Url Me Past Kare. Aab uper Me Dekhenge Create Page Likkha Hai Click Kare. 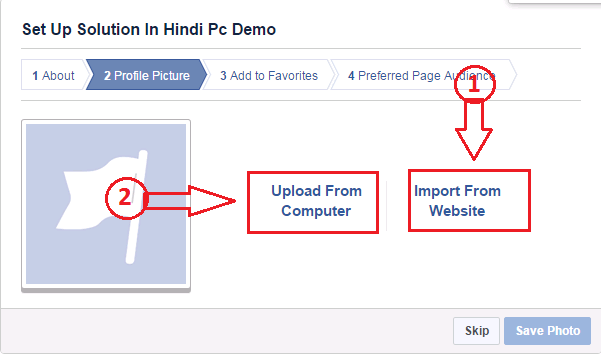 Create Page Me Click Karte Hi Aisa Dikhega. 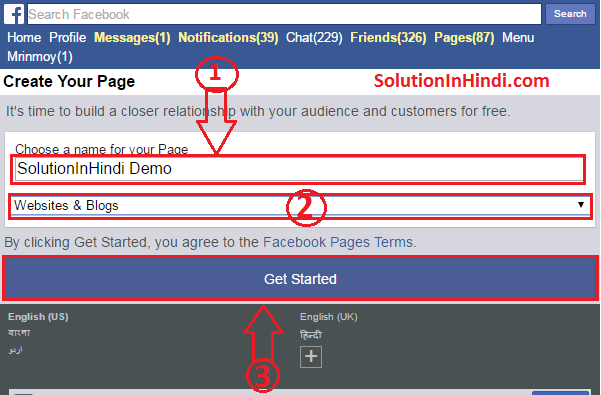 Me Aap Apna Page Name Dale Jo Rakhna Chahte Hai Oh Aagar Available Hai Toh hi Hoga nhi toh Dosra Naam rakhna hoga. 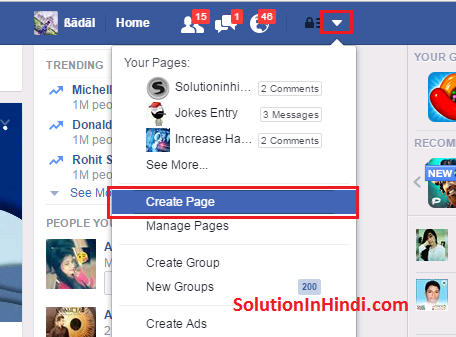 Yaha Cick Kare Or Aap Aapne Page Ki Hisab Se Page Category Chune. Jaise Me A Website/Blog Ke Liye Page Bana Raha hu. Name Or Category Chunliye Toh Get Started Me Ok karde. 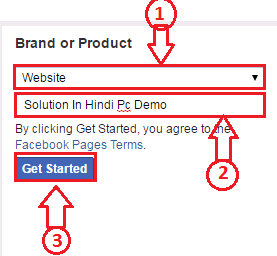 Get Started me Click karne ke Baad Aap Jis type Ke Page Category Choose Kiye hai Uska Sub Category Bhi Dale. Jaise Mera Website/Blog- Computer/Internet Ke Bare Mai Banaya hu. Finely Aap Sub Category Choose Karliya Hai Toh Phir Get Started Me, Click Kare. Get Started Me Click Karne Ke Baad Aysa Open Hoke Aayega. Aap Apne Page Ke Bare Me Describe Likkhe. Yaha Aap Apna Website Dale. Aap Jisliye Page Bana Rahe hai Kya Oh Real Me Hai Agar Hai toh Uper me Tick Lagaye Or Agar Real Nhi Hai Toh Niche me Click kare. Aagar Aap Abhi A Sab Info dena Chahte hai Toh Save Info Me Click Kare. Yadi Aap Bad Me Info bharna Chahte hai Toh Skip Kar Sakte hai. 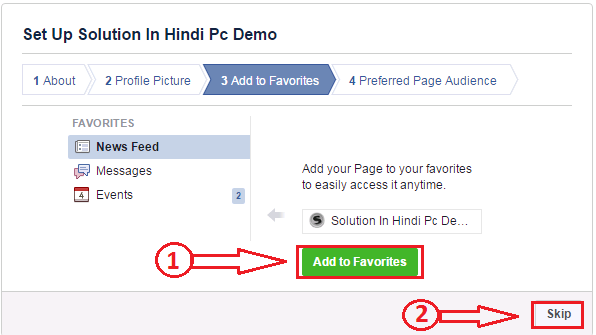 Me Agar Aapke Page Official Hai Toh Hi Is Option Me Tick Lagaye. Our Aagar Fan Page Hai Toh Hi Is Option Me Click Kare. 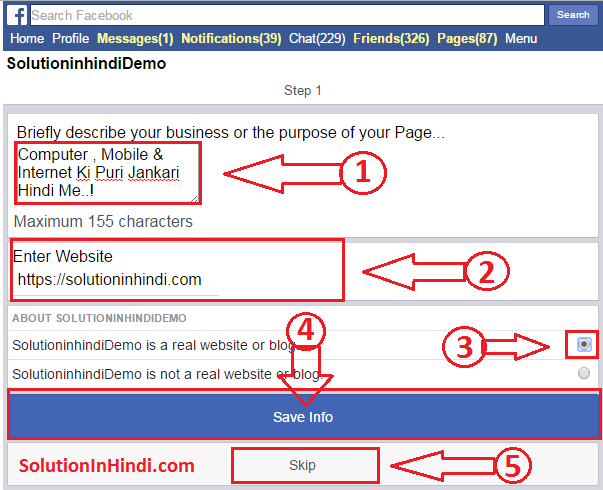 Official Ya Fan me Click Karne Ke Bad Save Info me Click Kare. Or Aagar Badme Dena chahte hai Toh Skip Me Kare. Ab Aap Save Ya Skip Me Click Karne Ke bad Aapke Page Ready Ho Jayega..
Login ho giya hai toh Upper Ke Right Side Me Ek Arro Hoga Uspar Click Kare. Arro me Click Karne Ke Bad Create Page Me Click Kare. Ab Apke Samne Category Page Show Hoga In Me Se Aap Jis Type Ke Page Banana Chahte Hai Usme Click Kare. Me Category Me Click Karke Apnna Category Chose Kare. Phir Get Started Me Click Kare. Me Aap Apne Page Ke Bare Me Kuch Likkhe Kyu Ke Visitor Samajh Sake Kis Bisay Me Aa Page Hai. Yaha Aap Apna Website Link Dale. Save Info Me Click Kare. Yaha Aap Apne Computer se Image Select Karke Upload KAre. Ya Phir Skip Karke Bad me Picture Upload Kar Sakte Hai. Agar Aap Is Page Ko Favorites Me Add Karna Chahte Hai Toh Add To Favorites Me Click Kare. Or Aagar Favorites Me Add Nhi Karna Hai Toh Skip Me Click Kare. 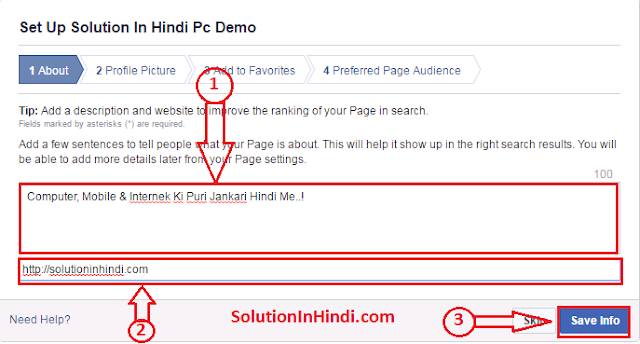 Favorites Matlab Aapke Facebook Home Page Me Show Karega. Yaha Aap Country Ya City Jo Bhi Select Karenge Ohi Location Me Hi Aapke Page Show Karega, Otherwise Dusre Location Me Show Nhi Karega. 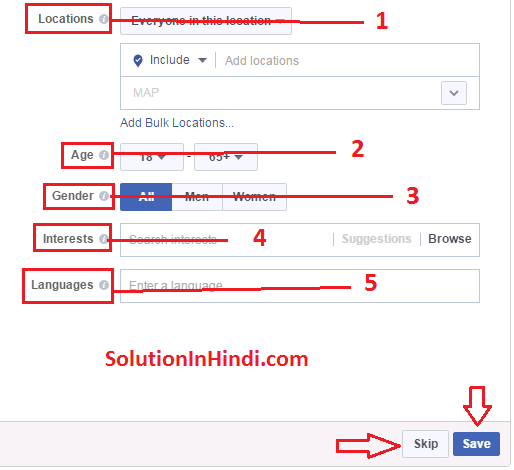 Isme Jis Age Ki Logo Ko Aapke Page Dikhana Hai Us Age Ko Select Kare. Yaha Jis Gender Ki logo Ko Dikhana Chahte hai Oh Gender Hi Sirf Dekh sakte hai. Yaha Aap Apne Interested Page Select Kar Sakte Hai. Note- Agar Apko Ya Sab Rakhna Chahte Hai Toh Save Me Click Kare Our Aagar Nhi Chahte Hai Toh Skip Me Click Kare. Toh Lijiye Aapke Page Ready Ho Giya. Agar Aapko Kahi Dikkat Ho Rahi Hai Toh Hame Jarur Comment Karke Bataye. Or Latest Update Ke Liye Hamare Website Ko Subscribe Kare Or Dosto Se Share Karna Na Bhulee..